United Way improves lives by mobilizing caring people to invest in the community where their resources are needed most. Partnering with the United Way of Greater New Bedford and the United Way of Plymouth County, the United Way of Greater Fall River is happy to share Volunteer SouthCoast. Volunteer SouthCoast is a FREE online tool that connects people interested in volunteering with volunteer opportunities in the area. Search by your interests, availability or zip code to find the right opportunity for you. Whether you are looking to give back or need to fulfill service hours, this tool is for you. 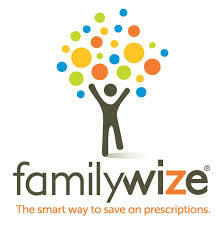 Since 2014, our United Way has partnered with Familywize, which is a national program offering prescription discount cards. In 2017-2018, local families have saved $164,028 using these discount prescription cards. 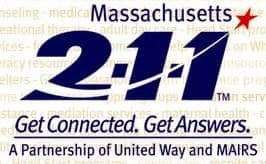 Mass 211 is an easy to remember telephone number that connects callers to information about critical health and human services available in their community. It serves as a resource for finding government benefits and services, nonprofit organizations, support groups, volunteer opportunities, donation programs, and other local resources. Always a confidential call, Mass 211 maintains the integrity of the 9-1-1 system saving that vital community resource for life and death emergencies. In 2017-2018, 1,575 calls were made to Mass 211. 10.7% of our funds in 2017-2018 were allocated for Hunger and Homelessness projects or organizations. United Way continues its special commitment to the families and elderly in our community who are hungry and need shelter. in 2017-2018, UWGFR provided $40,000 in funding to local food pantries and soup kitchens to support their efforts in high demand seasons. We also collected canned goods and diapers at our annual dinner for donation to other organizations. Once again, we partnered to assemble Thanksgiving baskets with the Frank M. Silvia Elementary School, partnering with Bristol County Savings Bank and Stop and Shop. We assembled more than 30 baskets for families in need. We participated in Stamp Out Hunger for the third year. With the help of GM Refrigeration and BankFive, we provided 55,000 plastic bags in Fall River, Somerset, and Swansea to collect non-perishable food items. National Letter Carriers collected these food items and distributed them to individuals in need. We are also active in the Fall River Task Force on Homelessness. The task force partners share a common goal of identifying issues, coordinating services, and ending homelessness in Greater Fall River.